Every nonprofit organization and school has a Board of Directors that is meant to help govern the organization. There are many companies, books, and webinars that solely focus on supporting Board of Directors. Over the years, we have found and developed some key tools that are easy to apply to help organization and their Boards govern more effectively. While some of these Board tools might seem standard, we still find that these are missing and/or have not been well developed. We could write a blog post about each of these tools (and maybe we will!). This is a quick overview of the value and purpose of each tool to help your organization think about how you might integrate them into your Board of Directors. Bylaws: This is a legal document and also a roadmap for actions that the organization can take. While there are plenty of bylaw templates online, your organization should customize the bylaws. Some basic items to include in bylaws include: number of board members, how board members are selected, board meetings, committees, voting procedures, conflicts of interest, etc. We recommend that organizations annually review their bylaws and make sure that they are clear and provide good instruction to guide the Board of Directors. 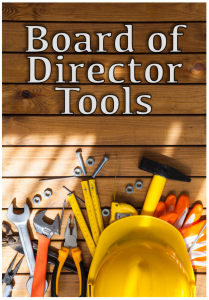 Board Manual or Handbook: The Board handbook is the “toolbox” for Board members that provides more detail than the bylaws. This is a great resource to review during new Board member orientation. Some of the key elements that we look for and include in Board Handbooks are: Organization Overview, Contact Information, Board Meetings, Finances and Fundraising, Governance, Committees, Board Policies, and Board Resources. Board Member Job Description: The last thing that an Executive Director or Board President wants to hear from a Board member is, “I didn’t know I was joining the Board to do ______.” One of the most prominent issues that we come across in working with Board of Directors is a lack of clear expectations for the Board of Directors. A Board Member Job Description is exactly as it sounds and similar to an employee job description. It clearly articulates what is expected of the Board member, such as meeting attendance, committee involvement, other organization involvement (e.g, attendance at certain events), a “give or get” policy (related to fundraising), and member terms. This information should all be communicated during the recruitment process, so that when the Board member is signing the form there are no surprises and everyone is in agreement about expectations. a 3-year strategic plan. We have developed a 3-page Board self-assessment tool, and there are many online. Indiana Youth Institute has a self-assessment tool online here. The Boys and Girls Club of America developed A Framework for Continuous Improvement of Nonprofit Board Effectiveness that could also be used as a self-assessment. 1:1 Individual Board Member Check In: One strategy to engage current Board members is to schedule individual annual meetings with each Board member and the Executive Director and Board President/ Vice President. 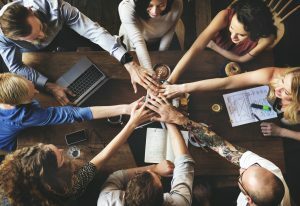 These individual check-in meetings provide a great opportunity to review the expectations of being a Board member, celebrate the successes and engagement of the last year and follow-up on any concerns. It is also a great time for the Board member to affirm their commitment for the coming year, such as financial pledge, leadership and/or committee roles and any connections to make. Board Meeting Calendar and Key Decisions Meeting Calendar: This is a “two-fer”. Yes, it may seem simple to state that a Board tool is a meeting calendar/ schedule, but you would be surprised by how many organizations do not have a clear meeting schedule and then struggle with attendance. We suggest sending out the Board meeting calendar for the year to all Board members and including any additional important dates (e.g., annual member meeting, required fundraising event, etc.). In addition, in order to help drive strategic decisions at the Board meeting we suggest developing a “key decision meeting calendar”. Every organization has some key decisions that the Board will need to vote on and/or participate in, so it is helpful to put those on the calendar, such as annual budget review, program evaluation reports, and strategic plans (planning, check-in or updates). Board Member Recruitment Process: While the bylaws should outline at a high-level the process to approve new Board members a more detailed recruitment plan is helpful to standardize the process. We often work with many organizations who struggle with small Board of Directors and are wanting to recruit more Board members but lack a clear understanding of the type of Board member that would be a good fit and a process to recruit. We have developed several Board recruitment tools: a board composition assessment (what are your current “assets” and “strengths” on the Board and then your “gaps”); a nomination form that Board members can submit when they want to recommend a candidate; a new member application to gather some key information from prospects; and interview questions that Board members use when meeting with a prospective member. Communication Flowchart: The last thing that an organization wants is to have one of their board members approached by a volunteer or staff member making a request, and the board member not know the procedure for how certain decisions are made. A communication flowchart explains how decisions are made within the organization and the role of the Board of Directors and its Committees. How well is your Board functioning? Would any of these help improve the effectiveness of your Board? Transform Consulting Group would love to work with your organization to identify opportunities to strengthen your Board and ultimately the impact of your organization. Contact us today for a free consultation. Are you looking for new board members at your nonprofit? Board members are an important link to successful fundraising, community engagement and networking. Having the right people on your board is critical to successful organizational impact. Certainly, organizations should recruit Board members from the leadership and staff’s existing set of personal and professional contacts, but also consider finalizing your decision through a more traditional process like that of a job interview. What is the role and expectations of your Board members? What skill or relationship gaps do you currently have in your Board? How engaged are your Board members? Have you performed exit interviews for departing board members? You want to make sure your Board members are a good fit, understand the requirements of the position, have the time and resources to devote to your cause, and bring diversity and balance to your board. At TCG, we can help you assess the effectiveness of your current Board, identify recommendations for improvement and work with you to implement those recommendations. Providing training on best practices in Board governance. Creating a Board Development Plan that includes a Board composition analysis; key stakeholder contact list; Board nomination process orientation plan and packet; and Board member position description. Developing and updating key organizational documents, such as by-laws, committee structure, meeting agenda template, calendar of meetings by key topics. Performing ongoing coaching and consultation to the leadership. By the end of a board development consultation, new Board members are recruited and “on boarded” effectively. The Board is engaged, empowered and invested in seeing the organization be successful! Your Board is an extension of your leadership and serves as “champions” for your organization. They are too important to not be fully utilized. We understand that it can be hard to devote time and resources to board recruitment and training when you are knee-deep in the delivery of programs and services on a daily basis. Learn more about our board development services, and contact us today to chat about ways we can serve your Board of Directors. Transform Consulting Group is thrilled to be working with Girls on the Run of Hamilton County to provide strategic planning guidance, board development and fund development. Girls on the Run of Hamilton County is one of twelve organizations across the state chosen to receive a Capacity Building Coaching grant from the Indiana Youth Institute (IYI). Girls on the Run helps girls build leadership and social skills through sports. Girls on the Run provides a character development curriculum for girls in 3rd through 8th grade that provides positive reinforcement and encouraging role models while creatively integrating running and exercise. Trained coaches lead a 12-week session with girls where each lesson combines running and walking games with various life skills; including healthy eating, leadership, setting goals, cooperation and other age-appropriate topics. Girls on the Run® of Hamilton County, started in 2010, and is an Independent Council of Girls on the Run® International, founded in 1996, by Molly Barker, a visionary, Ironman triathlete. Today, there are more than 200 councils across the United States and Canada, with new locations added every year. Similar to this work we’re doing for Girls on the Run, Transform Consulting Group can help organizations with board development, creating a fund development plan, and establishing outcomes and assessments. Contact Transform Consulting Group today and we’ll help you run the race. Where is Your Governing Board in Its Life Cycle? All organizations go through different life cycles. 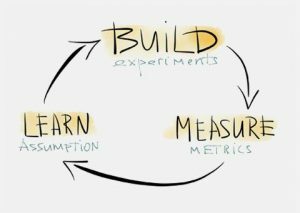 Where does your organization fall in the life cycles described below? Institutional boards tend to be very large, and while diverse, include more people with the capacity to give or to provide access to funders or donors. Board membership is often more prestigious and involves movers and shakers within the community. Because of the size of the board, the governance responsibilities are generally delegated to an executive committee with greater authority for policy making. Staff sizes are generally large, well-trained and capable of conducting most organizational activities with little oversight from the board or executive committee. Transform Consulting Group has experience in developing tools that will help your organization’s board of directors work together to meet your goals. 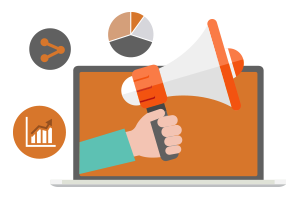 If you have questions about the life cycle of a board of directors or for more resources on organizational development, please Contact us.